Nick Cave at the Park Avenue Armory, 2018. 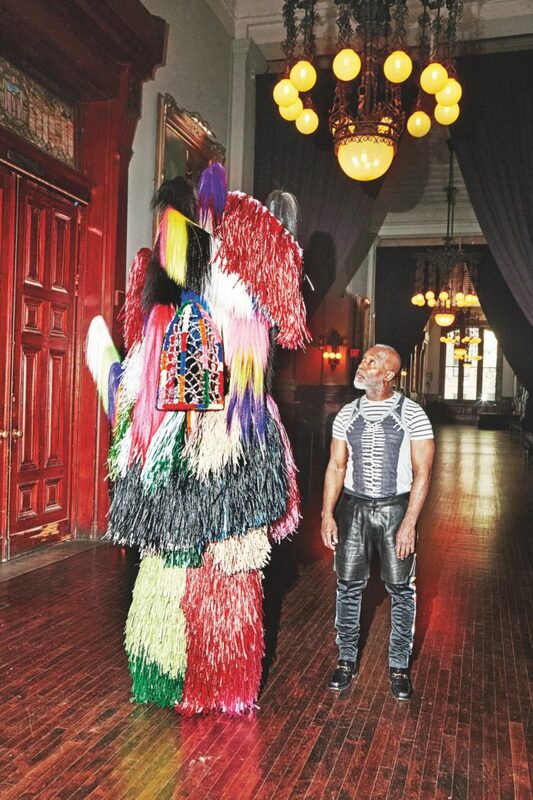 “We live in exhausting times and we are all in need of a savior,” Nick Cave tells me as we settle into one of the Park Avenue Armory’s 19th-century period rooms. 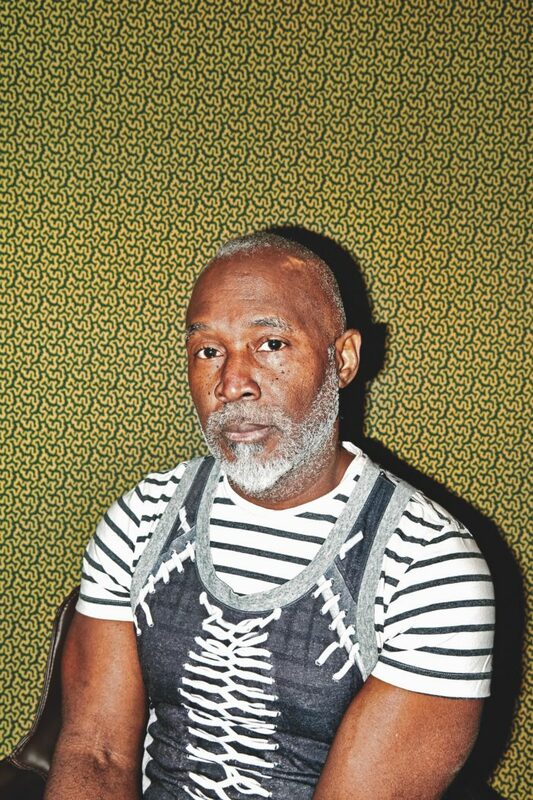 It is a remarkable statement from a contemporary artist whose life’s work has addressed what it means to be a black man in America. Celebrated for his iconic Mardi-Gras-meets-Muppet Soundsuits—named for their swish and rustle when worn, and what he calls his “bling-bling sparkle-sparkle factor”—Cave has woven fantasy and flash mob into his lexicon. 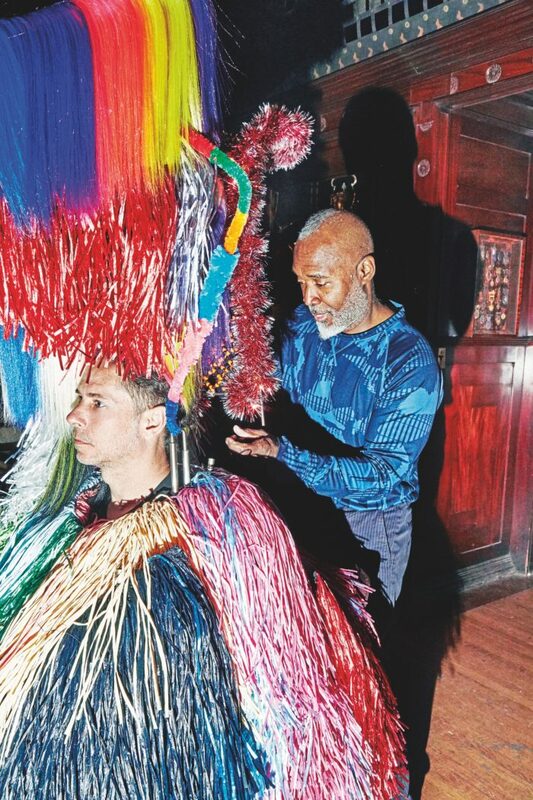 But his rainbow sculptures are more than a shiny array of tassels, pipe cleaners and synthetic hair. Referencing African masquerade and religious vestments, Soundsuits bestow a second skin on their wearers, obviating inherent biases about race, gender and class. Cave made his first Soundsuit from twigs in 1992, a response to the LAPD beating of Rodney King. In 2013, collaborating with Creative Time, his performance piece HEARD NY infiltrated Grand Central Station with a dance troupe in colorful horse-sized Soundsuits, in an attempt to force commuters from their daily fugue to an innovative dream state. In 2016, his paradisiacal Until—as in “guilty until proven innocent”—deployed millions of plastic beads and over 10 miles of crystal across a football field expanse at MASS MoCA. Scattered with lawn jockeys and images of guns and teardrops, the exhibition was designed to instigate dialogue on social injustice. Aesthetically, Cave described the experience as being inside “the belly of a Soundsuit,” posing the rhetorical question: is there racism in heaven? Nick Cave’s Arm Peace, 2018. Courtesy of the artist and Jack Shainman. Yet now, Cave says, we have officially entered unchartered territory. While politics have always galvanized resistance and self-expression in artists, there is an existential urgency today that he describes as “a collective sense of wading far into unprecedented, choppy waters.” But what if we could release our frustration and fatigue through movement? His voice is quiet and resolute, with the slightest trace of his Missouri origins. After nearly two years digesting the rise of this administration, he is ready to unveil his artistic response to the 45th president of the United States: a gargantuan, shiny multisensory haven to speak our minds and move our bodies—to coalesce and reclaim a sense of freedom. This is the central dogma of The Let Go, Cave’s grand, carnivalesque summer fling for the Armory: dance party as both rejuvenation and protest. Part installation, part discotheque, from June 7 through July 1, Cave transforms the conservancy’s 55,000-square-foot Drill Hall into a kinetic frenzy—with live music, DJ sets, school groups, church choirs, hula hoopers, Soul Train lines, Twister games and yes, Soundsuit invasions. There is also a schedule of Let Go community events: a Freedom Ball, outrageous costumes encouraged; Up Right dance performances, orchestrated by Cave and accompanied by the baritone of Jorell Williams and Vy Higginsen’s Sing Harlem Choir. 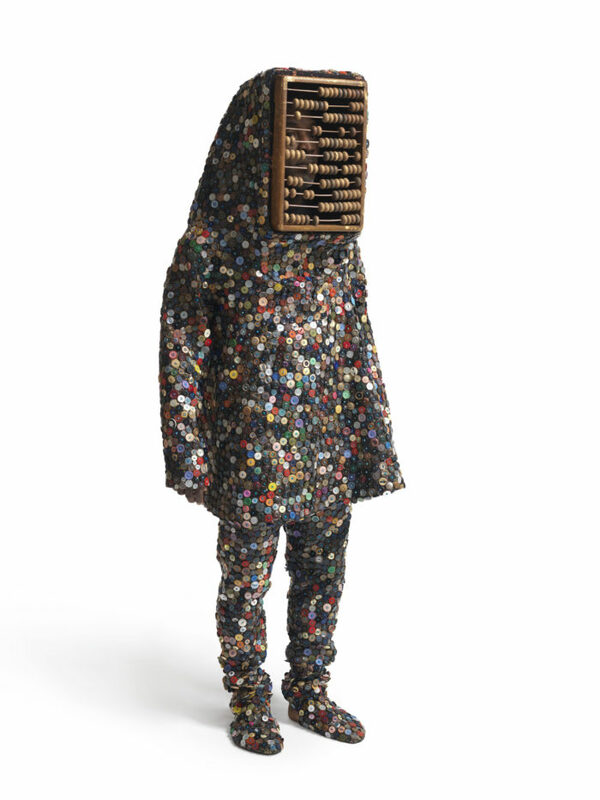 Nick Cave’s Soundsuit, 2009. Courtesy of the artist and Jack Shainman. “We are always looking for art projects that challenge the orthodoxies,” says curator Tom Eccles, director of the Center for Curatorial Studies at Bard College and longtime Armory curatorial advisor. We are seated in the building’s cavernous main hallway, with the rhythm track to our conversation provided by Cave special projects director and collaborator, Bob Faust, who is wearing a Soundsuit and posing for the camera. Indeed, that wonder and whimsy is perfectly encapsulated in The Let Go’s show-stopping centerpiece: a 100-foot-long, 40-foot-tall mylar curtain that streams across the Drill Hall dance floor and is sure to set Instagram alight. Chase, as Cave has named the metallic sculpture—as in young black men being chased by the police—evokes one of Tina Turner’s dresses on steroids, with foil fringe in layers of black, red, green and blue. Nick Cave’s Wire Tondo, 2017. Courtesy of the artist and Jack Shainman. 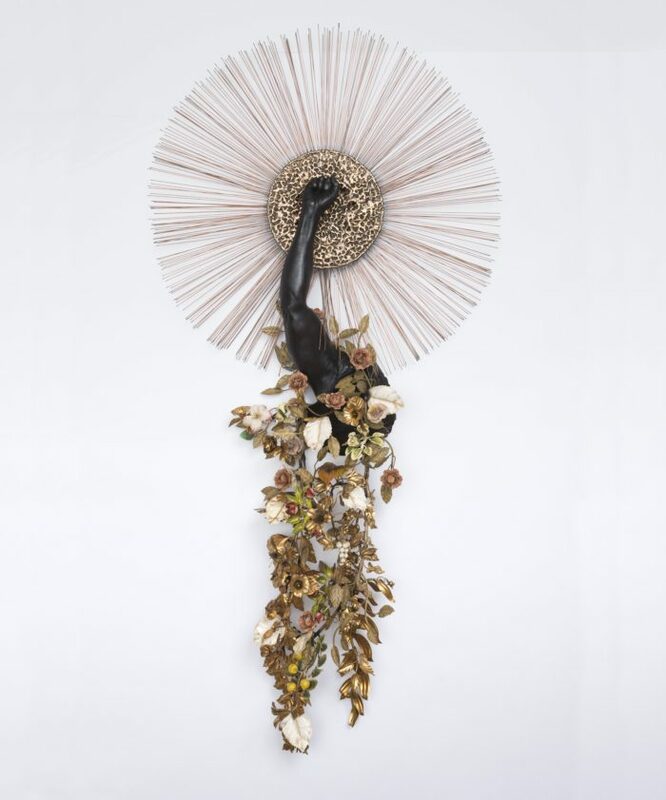 In conjunction with The Let Go, Jack Shainman Gallery is showing another integral facet of Nick Cave’s practice, lending a sense of slow disquiet to complement the Armory’s extravaganza. The exhibition “Weather or Not” is a series of tondos—circular wire, bugle bead and wood sculptures, some as large as six feet in diameter—created by mapping cataclysmic weather patterns onto brain scans of black youth suffering PTSD from gun violence. The tondos suggest shooting targets, climate change and Soundsuits, but most of all, an imminent sense of danger. 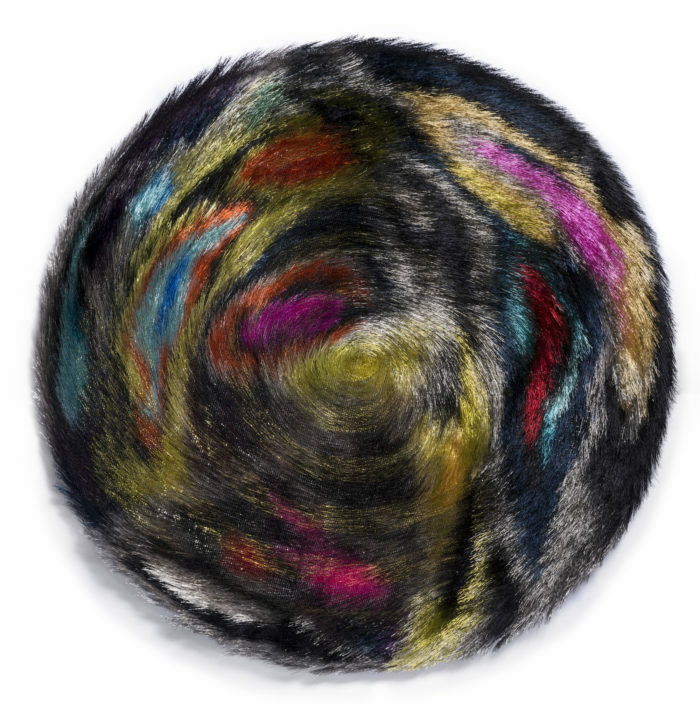 In May, the single new tondo at Jack Shainman’s Frieze New York booth tantalized fairgoers. Taken together—the unapologetically optimistic dance hall and the swirling, sumptuous tondos—reflect Cave’s vernacular: as dark as truth may be, art can heal the soul.